Meet Victoria. She was among three Persian leopards released in 2016 into the wild of the Caucasus Nature Reserve—a place where the species had gone extinct. Last June, she went off the grid, only to reappear six months later in November in the village of Lykhny. Residents found traces of a leopard entering the community at night, so local authorities notified the Ministry of Natural Resources and the Environment of Russia about the animal’s approximate location. The specialists who came to safely capture and examine the leopard quickly realized it was Victoria. 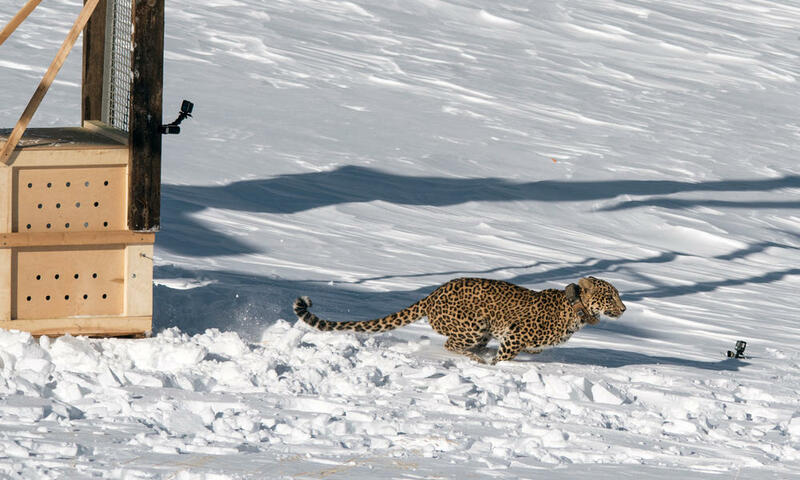 They brought her to the leopard reintroduction center in Sochi. After examinations showed she was in great health, experts decided to re-release her with a new GPS collar.